This is what is left of one of our experimental cages in one of project PERCEBES sites in Asturias, N Spain. Loss of cages has been massive in Asturias during winter, possibly because the main storm hit directly from the North. By comparison, sites at Portugal and Galicia fared much better. Note that the rock has been devoid of any animals or algae, because the cage has been smashing against the surface while hanging from the last of the remaining bolts. Awesome power of the ocean. Pictures of an experimental plot which was covered by a cage before (left) and after (right) been vandalized. Some of the cages have also been vandalized. The impact is still limited, and all biologist and fishers guilds are very committed and supportive with our project, so we expect this to remain controlled. If it gests any worse it could definitely ruin the experiment. The picture shows one of the vandalized cages before and after. Note that the vandal was careful enough to pick a single barnacle!! 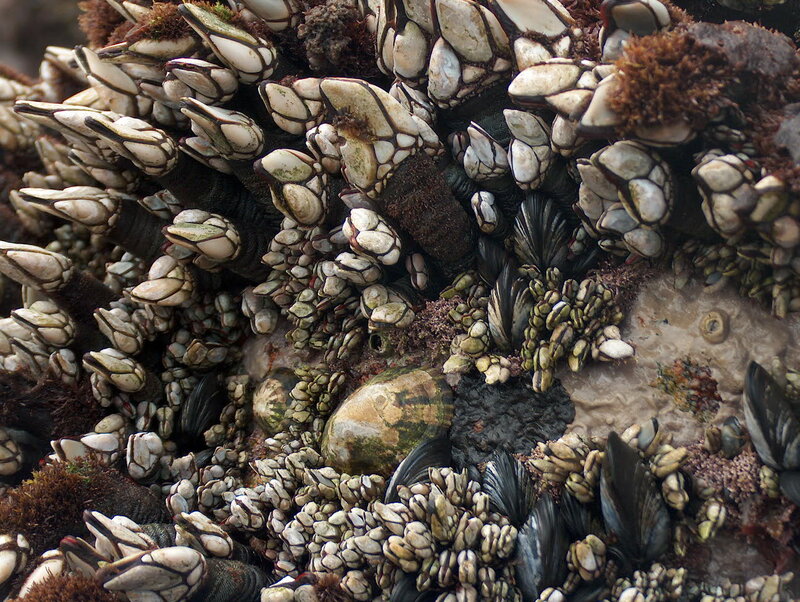 PERCEBES is a project to explore spatial management options for the stalked barnacle fishery in SW Europe. This will be done by experimental manipulation of human harvest intensity and by spatially explicit bioeconomic modelization of the fishery.